5 minutes for mom is hosting a blog party this week. It's a great chance to see who else is blogging and about what. They have lots and lots of great prizes to give away, too...and I mean lots. Who am I...well, I'm a Lord loving, wife of 21 years, and mama to two little blessings. I homeschool our children, love to cook, and design clothing and patterns. I just recently started a business selling those patterns and some limited clothing pieces. Along with the design business, I'm teaching any willing mama how to sew, so she can teach her daughters or someone else. My goal is to do my part to revive sewing in homes today by teaching others to sew the easy way. Have a fun time at the party!!! For 5 min. for moms: There are so many wonderful prizes, I'd love anything related to mothering, homemaking, family, or small children. Just dropping by from the mom blog party! Looks like you have some pretty neat patterns - I'm an enthusiastic quilter but not doing much sewing of any kind at the moment (I have a newborn and it's about as much as I can do to get out of bed...) In theory though I'd really like to make some clothes for my daughter. Just a fellow homeschooler stopping by to say hello. 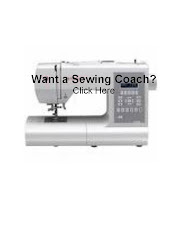 I have a sewing machine but can't say I know how to use it well. You have some cute designs. Come visit me when you have a chance! Hi there, another homeschooler here, stopping by from the blog party. Good luck with your new business! Hi! Just dropping in from the party. You're little girl is such a cutie!